Bring your kitchen outside with the Forno Square Grill with Handle by Adezz. 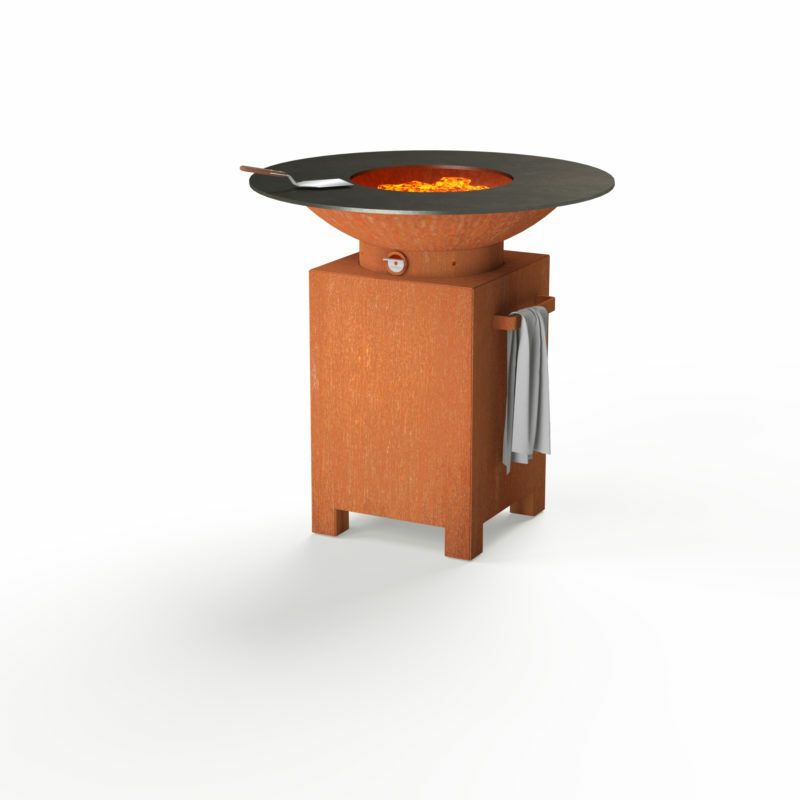 The BBQ grill and roasting plate allows you to prepare healthy meals. Varying in temperature, the round, wide and thick plate get hotter towards the middle, enabling you to manage your cooking requirements. This versatile product allows for a range of different ingredients to be served. The hotplate can even be used as a teppanyaki or plancha. 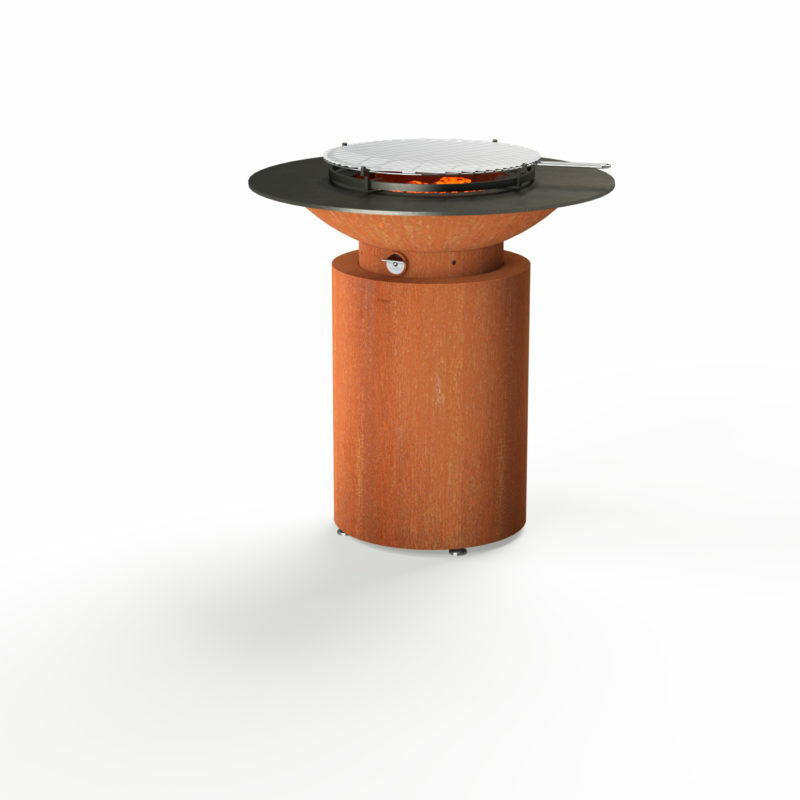 The BBQ is fired through the use of charcoal, however using wood it can also be transformed into a fire pit. The Forno Square Grill with Handle by Adezz can be used on every surface through the use of the adjustable solid legs. The handle enables the BBQ to be repositioned with ease. It can also be used to storage kitchen utensils or towels. 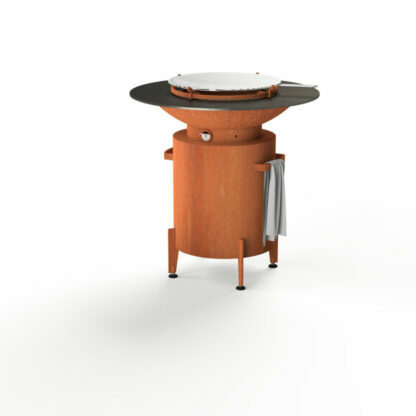 An air button will control the flow of making, making it adjustable for all your cooking needs. The warm rust colour creates an industrial feel to your garden. Robust and strong, the square shape leaves a lasting impression in your outdoor space. 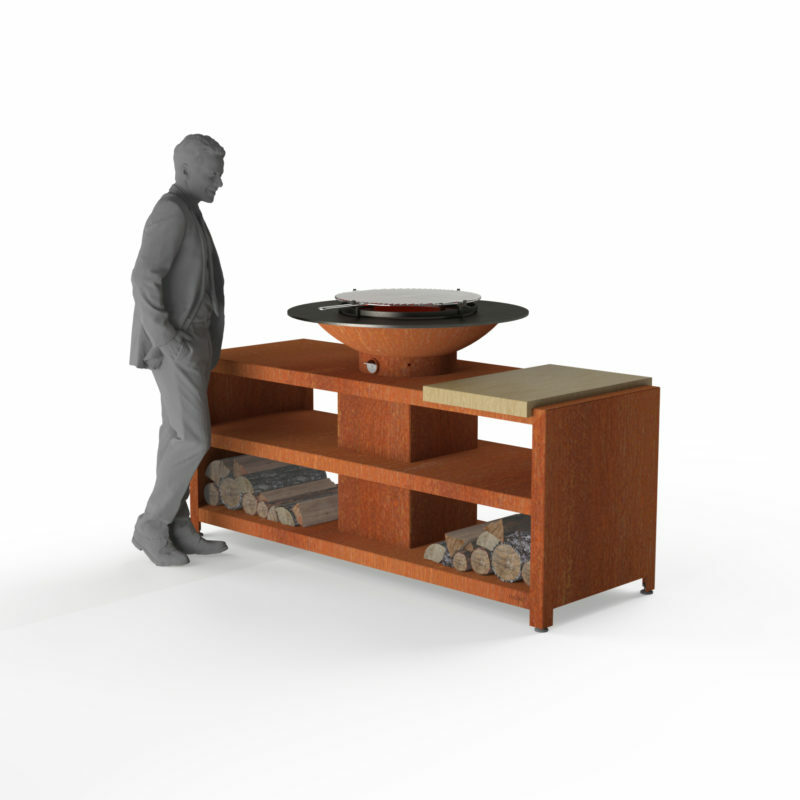 The addition of the storage unit further expands the product. Wood can be kept to fuel the fit pit and kitchen utensils and accessories can be kept for ease of cooking. 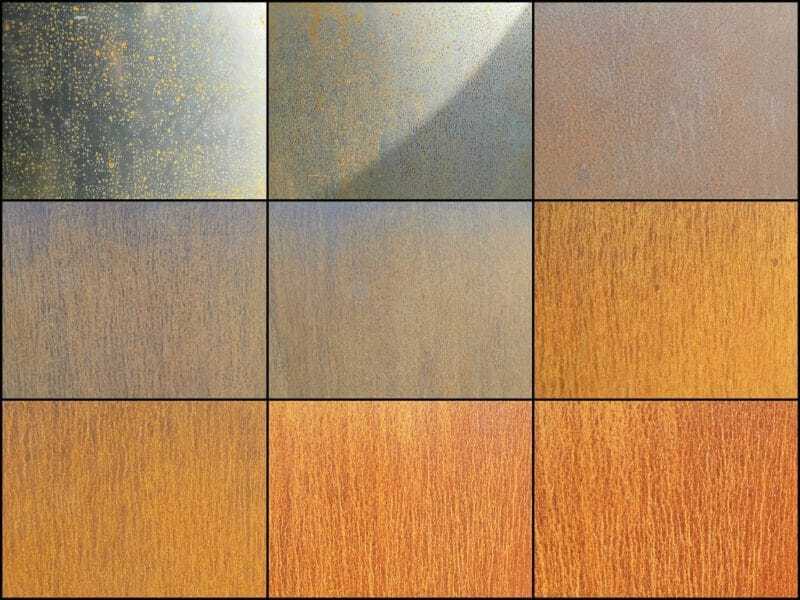 You will see in the gallery and image representing the ageing process that Corten steel goes through, and although this is outlined in the section above – you can see in the image the range of shades these barbecue take on as they form their protective coating.